Early-maturing plant that produces attractive, buttery yellow smooth fruits. 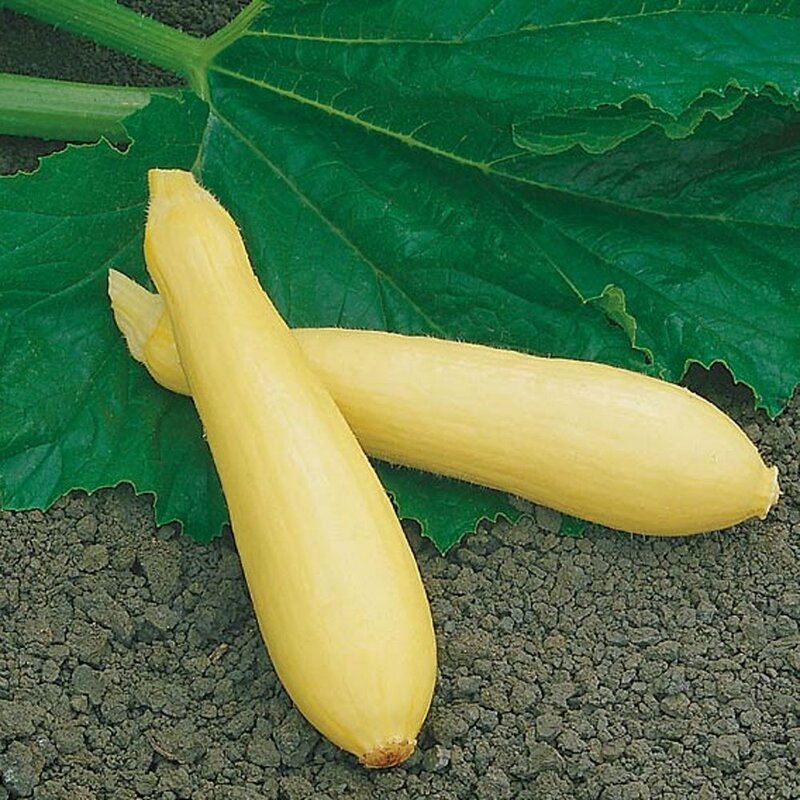 Fortune Squash is a high-yielding variety that offers smoothness and uniformity like not other. The bottle-shaped fruits are best harvested when 6-inchs long. Great for cooking or freezing. "all the plants from Growjoy are first class"
Comment: Squash arrived in plastic protective containers in very good shape. Also very big in size, They are completely plantable upon arrival. I had to wait a little longer as the weather here has been erratic, but they are doing well. Comment: I got this plant healthy & ready to plant. It's growing well in my garden. Comment: I ordered 2 pots with what was suppose to be 2 plants to each pot. Instead I got 3 plants in each pot. Was gushing with glee. Absolutely beautiful. If they have a good harvest I will definitely do this again. Comment: I am a 1st time gardener in Wisconsin and having the ability to do my research online and order online is the exact convenience I needed. All the Squash plants arrived in awesome condition and are doing great. Comment: The Fortune Squash are healthy and growing fast. I could not be more pleased.